Hannah Iterbeke is currently working as a Collection Manager at the Museum Hof van Busleyden (Mechelen, Belgium). In January 2016, she started a PhD in Art History at Illuminare – Centre for the Study of Medieval Art (KU Leuven). 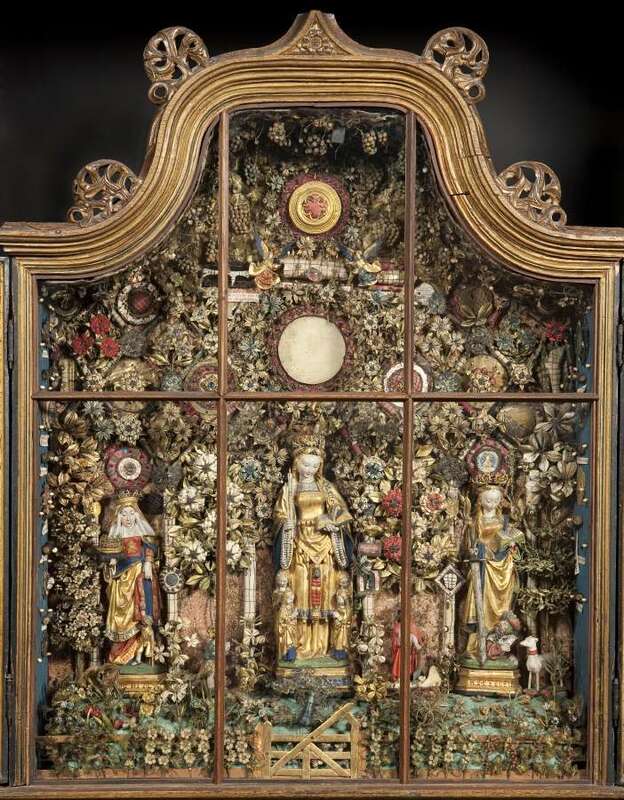 Her research concerns the production, reception and function of sixteenth-century mixed-media devotional objects, known as the Enclosed Gardens (supervisor: prof. dr. Barbara Baert; co-supervisor: prof. dr. Lieve Watteeuw). In 2015, Hannah completed her Master’s in Art History with a thesis on the making and meaning of silk flowers in the Enclosed Gardens. In the same year, she started working as a scientific associate at Illuminare – Centre for the Study of Medieval Art (KU Leuven), funded by the Chair of Medieval Sculpture. Hannah joined the ArtGarden research project (2016-2020) in January 2017 as a Junior Researcher. ArtGarden is a study on the significance and preservation of historical mixed-media ensembles. This research project is a collaboration between the preventive conservation unit of the Royal Institute for Cultural Heritage (KIK-IRPA), KU Leuven and the University of Antwerp. Hannah has published in Textile: Cloth and Culture and IKON – Journal for Iconographic Studies. Furthermore, she has written several contributions for exhibition catalogues on early modern art and religion. Currently, she is assisting prof. dr. Lieve Watteeuw with an edited volume on the Mechelen Enclosed Gardens which will appear in December 2018.